When Once Were Warriors made Rena Owen's name in 1994, many imagined it was another case of overnight success. In reality Owen had eight years acting experience behind her, including a run of plays, and a number of television roles. Since Warriors, Owen has gone on to memorable appearances in Garth Maxwell's When Love Comes, thriller Nemesis Game, and Vincent Ward's Rain of the Children. Owen grew up in the Northland freezing works town of Moerewa, amidst a family of nine children. Her father was Māori, her mother Pākēha. While at high school she participated in kapa haka groups and starred in school musicals. "I always wanted to be an actor, but I had no role models," says Owen. Growing up, the only Māori face she recalls seeing on TV was newsreader Marama Kingi. Instead she trained as a nurse (one of two Māori from a class of 66), and spent four years nursing before leaving for England. In London her life fell apart, then began anew. After eight months in prison on a drugs-related charge, a freak coincidence led to an audition for Inside Out, a play about women in prison. She got the part, and soon after met her mentor, actor/director Ann Mitchell (Widows). Owen had begun writing as a child; now Mitchell encouraged her to rework the script of her debut play Te Awa I Tahutu, "about a young Māori girl reclaiming her heritage". The play was performed at fringe theatres around London; Owen starred. She returned to New Zealand in 1988, and "lived and breathed theatre for eight years before Warriors". There were occasional screen roles along the way, including two parts in landmark Māori television series E Tipu E Rea. Roimata, the bigger role, saw Owen playing the extroverted city-sister of the title character. Roimata was written and directed by future Once Were Warriors scriptwriter Riwia Brown, who in a game of creative musical chairs, would also direct Owen's second stage-play, Daddy's Girl (her other E Tipu E Rea episode was a non-speaking part in Variations on a Theme). Owen auditioned for Once Were Warriors early on, realising the part of strongwilled wife Beth Heke was a once in a lifetime role. Having first picked her for E Tipu E Rea, casting director Don Selwyn felt "Rena would be hard to beat". Director Lee Tamahori said Owen was the only person he'd ever had in mind for the part. "She's a classically trained actor and she has a kind of method approach so she throws herself into it with enormous gusto". 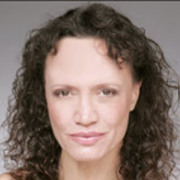 Circumstance gave Owen an extended period to prepare for the film, which was shot in six exhausting weeks: before Warriors began, she spent six months on Easter Island, reading Alan Duff's book twice more, inbetween making her big screen debut in a "small but juicy" role in American-funded epic Rapa Nui. Once Were Warriors won Owen best actress awards at festivals in Montreal, San Diego and Oporto. Critical acclaim was thick on the ground: "an electric performance" (Vogue); "Owen burns up the screen...now, if only the roles can live up to the actress" (Elle); "riveting" (Wall Street Journal); "Owen plays Beth with a deft mix of vulnerability and strength" (Newsday); "It is a tribute to Rena Owen's fine, grief-racked acting that she almost succeeds in making us understand the battered-wife syndrome" (Sydney Morning Herald). Newsweek, The New York Times, and Premiere all compared Owen to French acting legend Jeanne Moreau. Others speculated about Academy Award nominations. Playing Beth reawakened memories of Owen's childhood, when she had witnessed gang violence at a pub near her home. "I can relate to the spirit in her, that wants something better for not just herself and her children, but also her people". Owen later hosted a documentary about domestic abuse, Beth's Story. In 1999 she spoke of still meeting people who told her Warriors had given them "the courage to get out of violent domestic relationships". In the period after Warriors, Owen turned down a number of international offers in order to fulfill obligations to star in a film directed by Stewart Main. The movie was delayed a number of times, then later abandoned. As if to make up for the gap, the last half of the 90s proved especially busy on the acting front. Owen reprised her role as Beth Heke in a few short but important scenes of What Becomes of the Broken Hearted, and played a prostitute in low-budget romp I'll Make You Happy. On the small screen she was mother to the rugby playing main character in Anglo-Kiwi mini-series Savage Play, and was award-nominated for a guest role in the second to last episode of Cover Story's first series - as a woman working with disruptive teenagers. Across the Tasman, Owen did 48 episodes of hospital drama Medivac. She was nominated at the Australian Film Institute Awards for her work in Rolf de Heer feature Dance me to my Song, the tale of a cerebral palsy sufferer, a manipulative carer, and the man between them. Owen's performance as a famous singer on the slide in Garth Maxwell's When Love Comes won good notices, despite a minor dust-up when a Variety reviewer seemingly became confused between the film, and another in which Owen was to have played a transvestite. In 2000, after starring in an episode of anthology series Aroha, Owen moved to Los Angeles. Since then, alongside a walk on role in Spielberg epic A.I., she has played mother earth, a psychiatrist, a troubled nun, and donned hydraulic wings to guest star as a demi-goddess in cult series Angel. Small roles in the second and third Star Wars prequels launched a new run of fan mail, and invites to many science fiction conventions. Later she played the warrior role model to a young Fijian girl in 2004's The Land has Eyes, the first feature film directed by a Fijian. Long keen to play the baddie, she was a psychotic killer facing off against Ian McShane in Kiwi/Anglo/Canadian thriller Nemesis Game, and an eccentric villager who befriends an undersea creature in children's fantasy Mee-Shee: The Water Giant (also partly shot in New Zealand). Owen returned down under again in 2008 to appear in Vincent Ward's acclaimed Rain of the Children, as one of the actors playing Puhi, partly because Puhi reminded her so much of her own grandmother, who also lived a "very hard" life. Soon after she acted in Fiona Samuel's tele-movie Piece of My Heart, playing a mother forced to adopt out her child (Samuel wanted her for the role because of Owen's ability to combine toughness and vulnerability). Owen also co-wrote and starred in short film Spout, a 60s-era spin on the vampire genre. In late 2010 Owen joined the "well-oiled machine" of Shortland Street, as an ex-drug addict who is mother to Scotty (Kiel McNaughton). Though she joked at having "never had to work so fast in my entire career", Owen was clearly up to the task: the following year she took away the best supporting actress gong at the Aotearoa Film and Television Awards. February 2012 saw the Australian debut of series The Straits: this time she played the part-Māori matriach of a family of smugglers, who work from the Torres Strait Islands in northern Australia. In 2014 she joined the cast of Toa Fraser movie The Dead Lands, in which Boy discovery James Rolleston plays the son of a Māori chieftain, out to avenge his father's murder. Owen continues to work on her own dream project: a movie adaptation of Heretaunga Pat Baker's novel Behind The Tattooed Face, set in the time of James Cook.